Utterly sophisticated and refined, these exquisite pearl drop earrings will be a delightful addition to your earring collection. The perfect size for everyday wear, yet dazzling enough for parties and dinner dates. 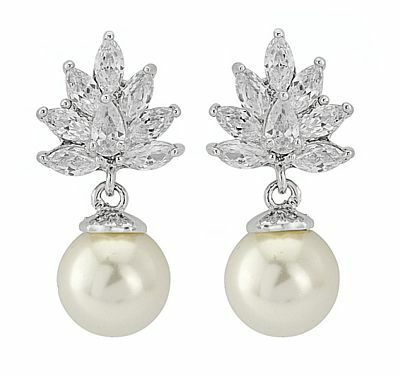 The classic design features a cluster of CZ crystals above a simulated pearl. The finish is rhodium, so they won’t tarnish. Size: 2.5cm/1”.